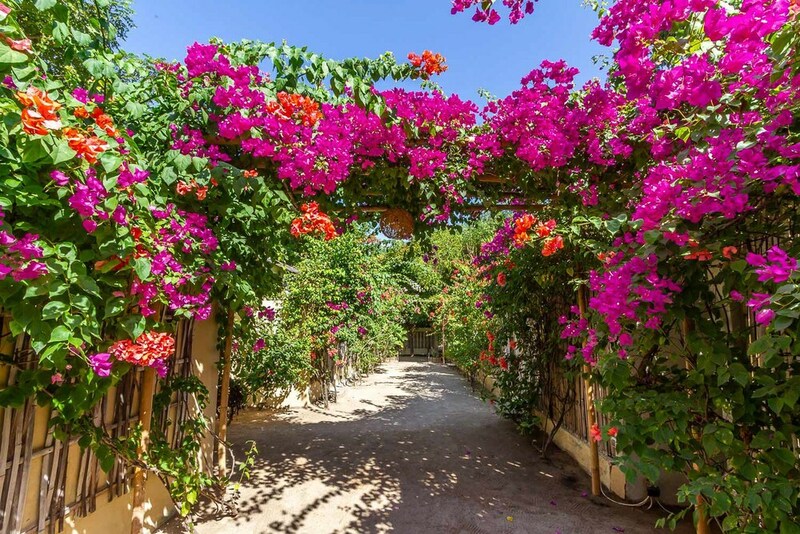 The best hotels in Gili Meno become your island homes if you decide to stay on the most relaxing island among the three Gilis. 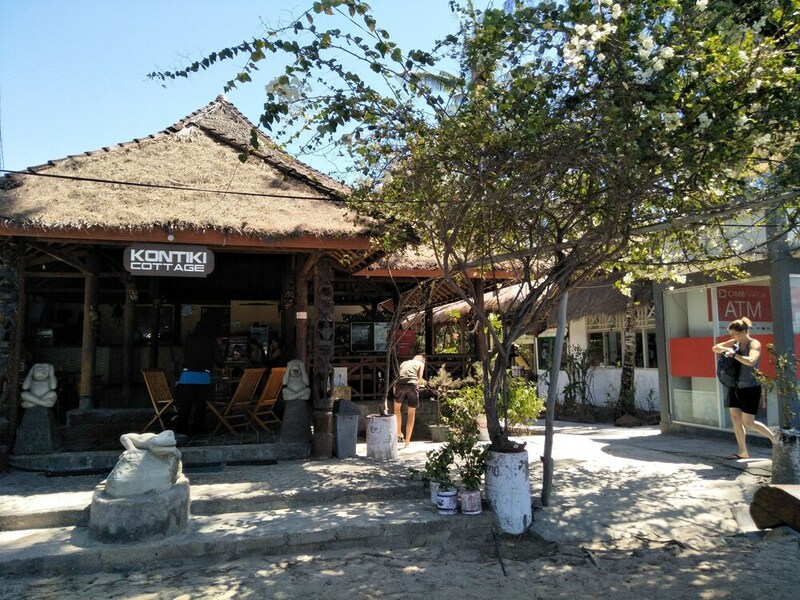 While the other two Gili islands have a busy party atmosphere, Meno truly sets itself apart. 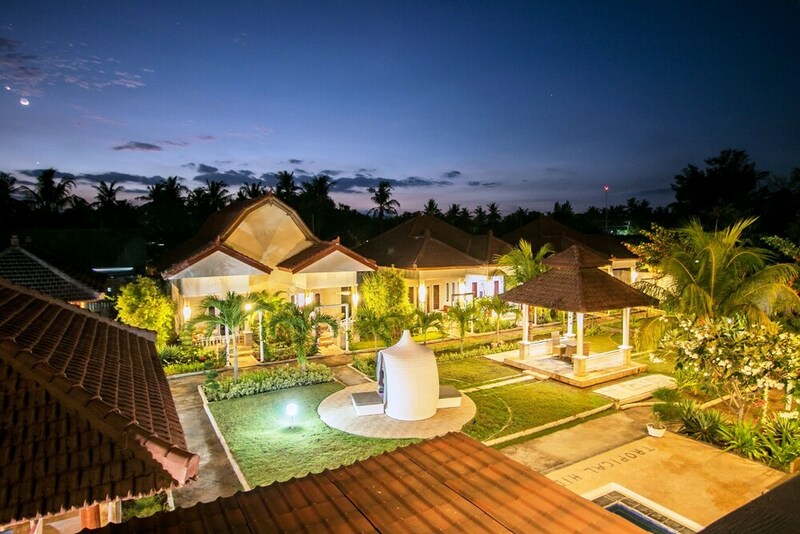 Your stay here comes with a preserved island village feel and a very low-key nightlife. 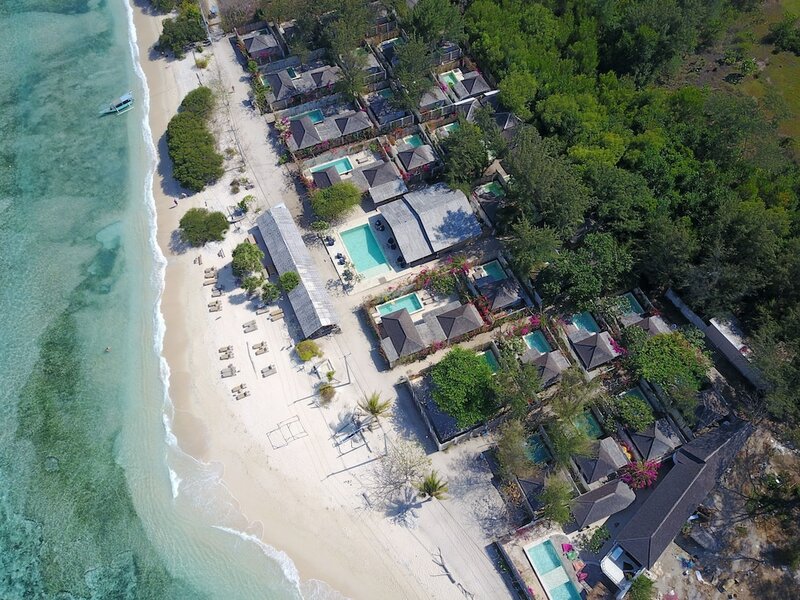 The accommodation options here follow suit, with the best Gili Meno hotels allowing you to relax with a beautiful beachfront and take in the tranquil sea views. 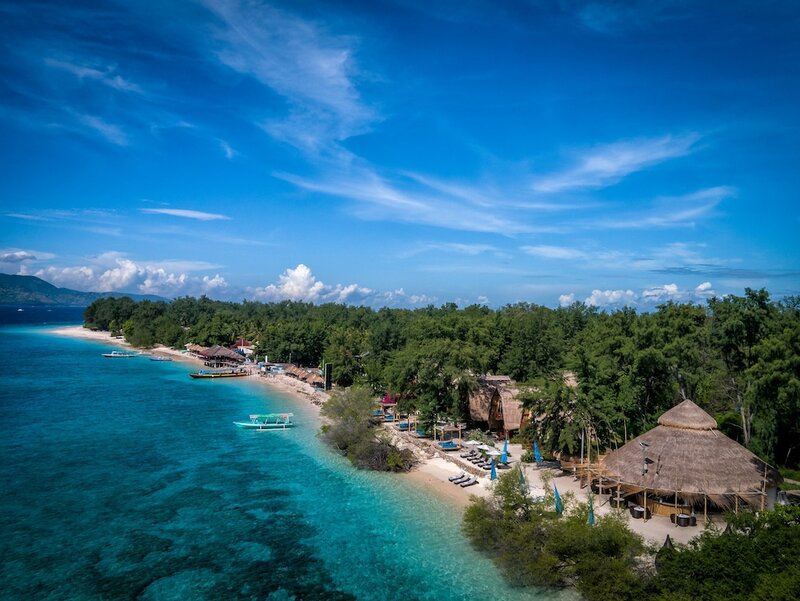 Here, we’ve gathered the best places to stay in Gili Meno, featuring a good range of boutique seaside resorts on the western coast. On the east coast, near the boat landing, you may also find great stays that embrace the tropical beach lifestyle with fully-furnished wooden huts. Some feature great leisure and beachfront dining facilities attached to their properties. These places are great for honeymooners and couples, and just about anyone looking for a quiet island escape.